Call BUD'S IN BLOOM FLORAL & GIFT today... the place where flowers are uniquely designed and affordably priced. Mother and daughter working side by side with a passion for floral design and creating charming bouquets for all occasions. Family is everything at Bud's In Bloom. You will often see our children and grandchildren at our shop as well as other family members designing and delivering. We've been in the business a long time, over 30 years of experience! We named the business after our dear father and grandfather, Bud. He was a good man and had a lot of pride in Brenda's talent and always supported her dream. After he passed, we couldn't think of a better way to honor him than to give our business his name. Brenda, the Mom, the Boss, the one who started it all, enjoys creating beautiful sympathy tributes and always designs with love and appreciation for each design. 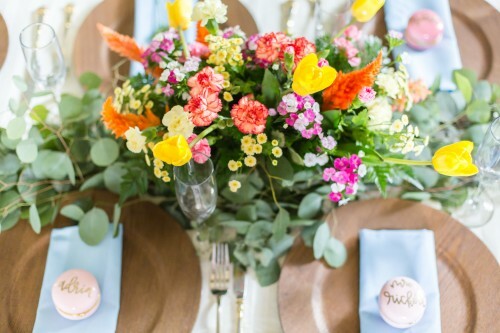 Stephanie, the Daughter, is your go-to for wedding designs. 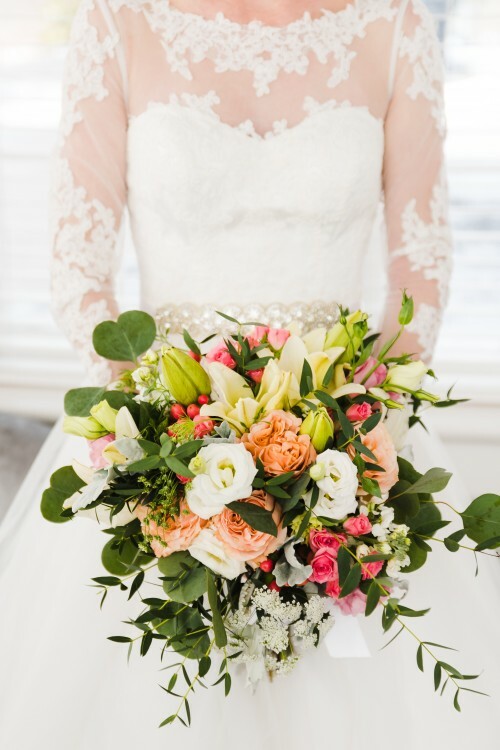 She is always taking careful consideration for each bride's needs and desires for the perfect florals on their special day. We've even been named "Best Florist" as well as "Best Wedding Flowers" multiple times by the Louisville A-List voters. Together, we work hard to create beautiful bouquets for all your floral needs. Floral design is our passion and nothing gives us more joy than the happiness we see on our customer's faces. We’re your local New Albany, Indiana florist with a lovely variety of fresh flowers and creative gift ideas to suit any style or budget. We guarantee your satisfaction. We hope you enjoy your online shopping experience with secure 24-hour ordering right at your fingertips. If preferred, you may call us to place orders direct at 812-945-5422. It is our pleasure to assist you with any local, as well as worldwide deliveries and remember that corporate accounts are always welcome. For your convenience, we offer daily floral delivery to local funeral homes and hospitals. 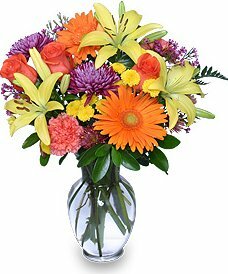 SYMPATHY & FUNERAL FLOWERS ~ Remember, you can always depend on us when you need to send flowers for the funeral of a friend or loved one. We will design and deliver a funeral arrangement that beautifully conveys your feelings of sympathy and serves as a lovely tribute to the deceased. Our shop specializes in Unique Sympathy Tributes. ALL OCCASION GIFT IDEAS ~ Shop from our Green & Blooming Plants and Dish Gardens for a gift that adds life to any room or office. We also offer a variety of other choices… Fruit & Gourmet Baskets, Gift Baskets, Baby Gifts, Candy & Chocolates, Gifts, Greeting Cards, Home Décor, Scented Candles, Silk Flower Arrangements, Custom Silk Trees, Plush Stuffed Animals, Beanie Babies, Balloons and more! delivered fresh from your local NEW ALBANY, IN flower shop and convenient online ordering 24 hours a day!